Home » Samsung , Samsung Galaxy S5 » Samsung Touchwiz Screenshots in Galaxy S5 Leaked! 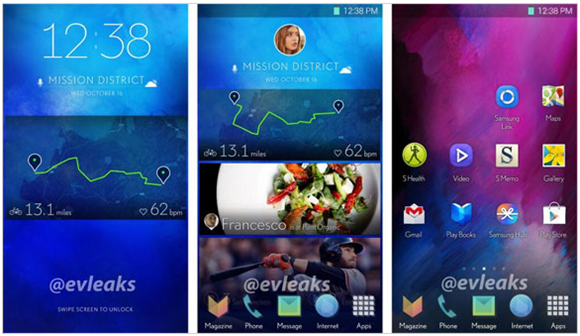 Samsung Touchwiz Screenshots in Galaxy S5 Leaked! Evleaks has yet again leaked the screenshots of Samsung Touch wiz before its official announcement. The home screen appears to be somewhat similar to HTC Blinkfeed. The new version of Touch wiz will be available in Galaxy S5 which will be announced in MWC next month. Qualcomm Snapdragon 805 Processor Announced!